Writing an original and good SEO friendly article or content is not as hard as new bloggers (beginners) think. If article is original and unique written in good format and in right order then it is sure that it can get a good ranking on search result page. We need to add keywords in right places to target them in the view of search engine crawlers. Using keywords again and again while writing a post is not a good practise, it can make search engine to take your site as spam. So here I will tell you about a few places where keywords can be placed for good SEO results. The places where keywords can be optimized are discussed below. Post title is first and most important place where keywords should be targeted. 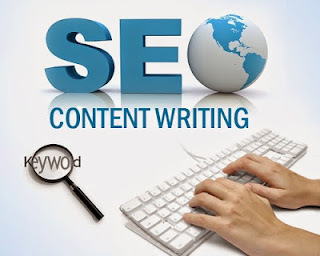 As post title is also used in blog as page title, there for post title is main place where search engine crawler focus first of all and the same is shown in search engine result page to researchers. Some of blogger templates use H2 headings as post title and H1 headings for blog title are used. But if we display image as post title and use H2 heading as post title, then we should also use a H1 heading in such a way that can make post look good and on the other hand putting keywords in it, can optimize and target those keywords for SEO. As blogger give us opportunity to change or edit permalink or URL of post as our own will, then it is good to optimize URL, edit it and make it SEO friendly by targeting keywords in it. Targeting keywords in URL or permalinks is a good practise to get better ranking in search engine result page. But while editing URL one thing should be minded that keywords should be separated by dashes (-) and length should not more then 50 letters. While writing a content we should provide some info about main theme of content. In this way reader can find article as according to his/her demand and can go through whole of the content. And that is why keywords should be targeted in opening and closing paragraphs of content to optimize post. Post with no image(s) in considered incomplete. That's why we use images to provide help about article to reader. It is often said that an related image displayed in post provide a half story about that article or post in which it is added. And for better SEO results we can add two properties in it, two HTML tag attributes, title tag and alt tag, so there text values provide targeted keywords to search engine crawlers. Labels not only provide info that what type of this post is, but also smartly helps in search engine optimization of post. There for before we label a post we should keep in mind that we have to add targeted keywords in it. If by mistake we have labelled post with non-reasonable keywords then there is no need to worry because we can edit or change afterwards. There was a time when two meta tags were used for SEO first meta keywords tag and second meta description tag. But now main search engines have rated meta keyword tags as spam and now only meta description tag is used for SEO purpose. So every post have a different description that is used in meta description tag afterwards. That is why, targeted keywords should be placed in meta description tags. and meta description should not contain more then 155 characters. Believe or not, search engines take comments as a part of article. In this way if targeted keywords are used in commenting then it can be helpful in raising ranking in search engine result page. Hope, you will find this article easy, helpful and trusted. So do not forget to provide feedback by commenting.